The first true indie show I saw in Seattle was back in July at a little Capitol Hill hole in the wall called The Faire Gallery Cafe-Bar for an old friend’s new band: Shareef Ali & the Radical Folksonomy. 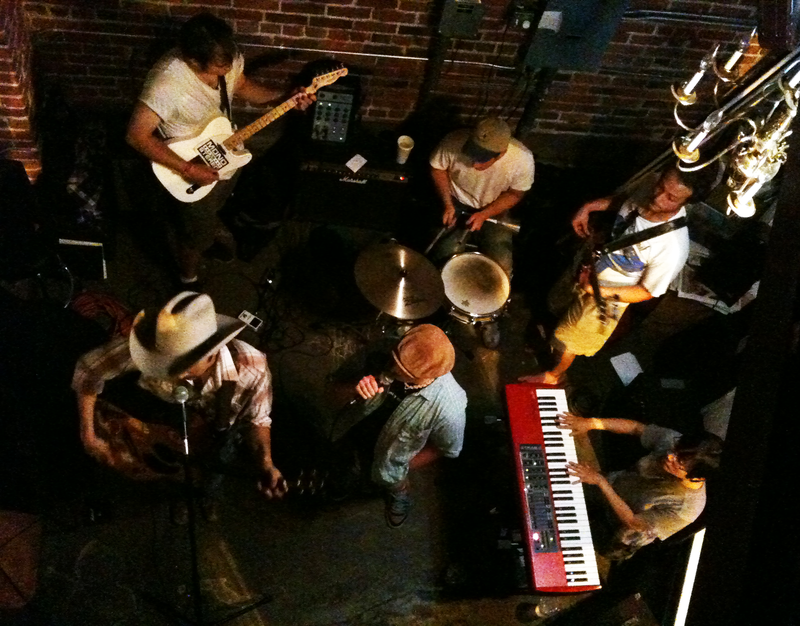 We all packed into the tiny venue – broken A/C on a hot July night – and were treated to some orchestral-indie-punk-folk from the Bay Area. 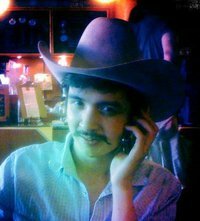 With a handlebar mustache and a many-gallon hat, that is. Locking down a genre or these folks is not easy – but I don’t mean that in a “They’re all over the place,” kind of way. There’s just a lot going on – but I don’t mean that in a “messy, overdone” kind of way. It may be easier to describe them, at least at first, by what they are not. The Radical Folksonomy is NOT pretentious, overbearing, overblown, or boring. Thus, they are honest, endearing, well-arranged, and interesting – with a sound built to showcase Ali’s heartfelt songwriting but with enough dynamics and edge to keep even a casual listener engaged. 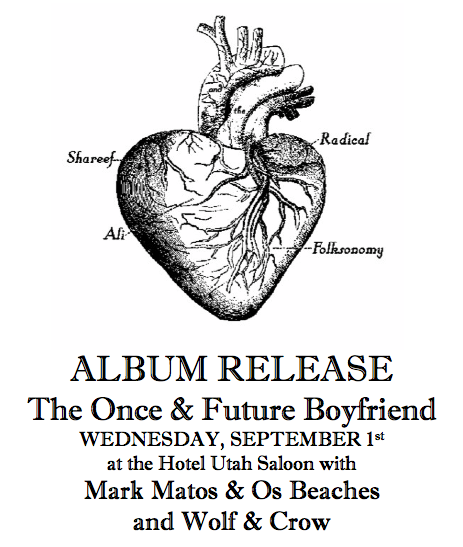 Back home from tour, they are set to release their debut record The Once & Future Boyfriend tonight in San Francisco (see below). If you live there, you should go. 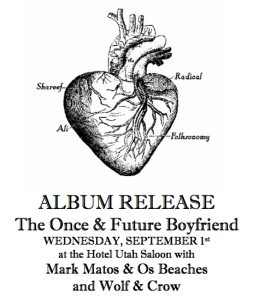 TONIGHT (9/1/10): Shareef Ali & the Radical Folksonomy are set to release their debut EP The Once & Future Boyfriend at the Hotel Union Saloon in San Francisco. Check out my favorite track from The Once & Future Boyfriend, “The State of the Garden,” on the Mid By Northwest Radio. Also be sure to visit www.ShareefAli.com to connect with them on your social network of choice.